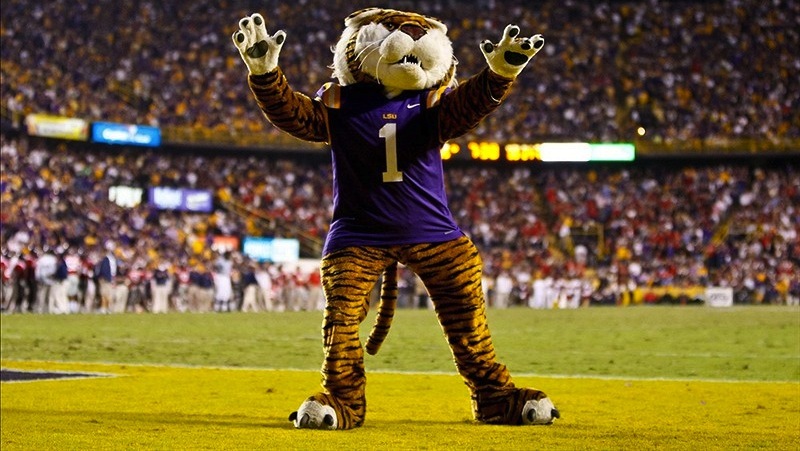 The 10 Best Mascots in College Football, Ranked. 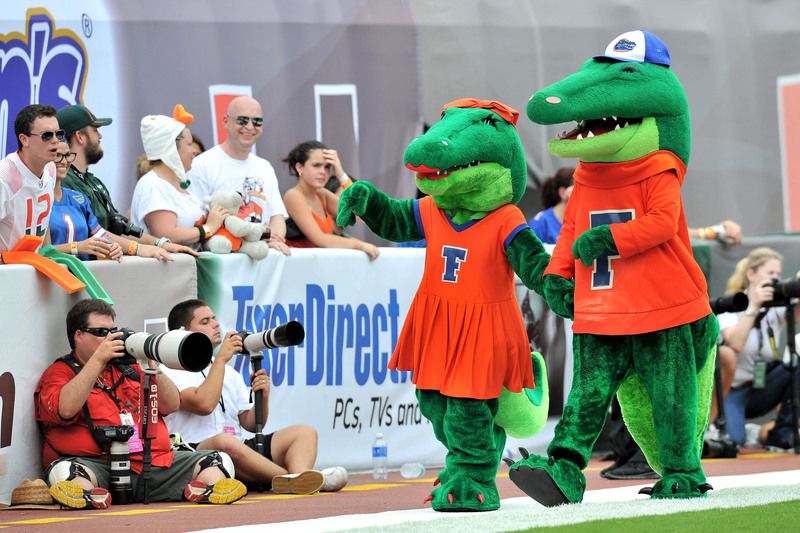 Comments Off on The 10 Best Mascots in College Football, Ranked. Anyone else ever catch themselves, during a college football game, wondering when you’ll see the mascot from one of the teams getting into some whacky shenanigans on the sidelines? Yeah … me neither. It does beg the question, though: which schools have the best mascots in college football? Most people will judge their favorite mascots based on appearances or sideline antics, but I chose to dig a bit deeper and also use their stories to help me out. Below are my top mascots in college football, ranked from 10 to 1. Created in 1965, Brutus was brought in when schools were generally choosing animals as their mascots. While a buck deer was suggested, it was rejected, and the state tree of Ohio was chosen instead. Brutus is one of the most recognizable characters in college football. The fact that Mike doesn’t appear at games anymore and still makes the top 10 speaks to how cool it is to have a live tiger as a mascot. Up until 2016, Mike’s cage was placed next to the visiting locker room that way opponents had to pass his cage. The elephant became associated with Bama in 1930 when a sportswriter exaggeratingly wrote “the elephants are coming!” Big Al didn’t come to fruition until legendary coach Paul “Bear” Bryant used athletic department funds to foot the bill for the costume. What’s not to like about a Donald Duck doppelganger riding a motorcycle and doing pushups throughout a football game? Oh, and his name is Puddles giving him the cutest mascot name in the country vote as well. Props to you, Oregon! One of the longest-running mascots in college football, Bevo first appeared in 1916 at halftime of the Thanksgiving Day game between the Longhorns and hated rival Texas A&M, which UT won. Also, check out how chill Baby Bevo was in his 2016 debut against Notre Dame. A live buffalo that runs on the field before each home game, Ralphie reaches up to 25 MPH. Female bison are used as the mascot because they are smaller and less aggressive. That doesn’t mean “Ralphie’s Handlers” – five varsity student-athletes that run with her on the field – aren’t necessary. They’re dinosaurs and they’re a couple. Enough said. A pure white English bulldog, Uga can be seen on gameday relaxing in his air-conditioned doghouse or in his custom jersey barking at opponents. Uga is the only college mascot that is buried within the confines of the school’s football stadium. The first Reveille was a dog rescued by Aggie cadets after being hit by a car. She is the highest-ranking member in the Corps of Cadets and is cared for by a mascot corporal. If they are in class and she barks then the class is dismissed. If she falls asleep in a cadet’s bed, they must sleep somewhere else because she outranks them. The representation of historic Seminole leader Osceola and his Appaloosa horse, the school works closely with the Seminole Tribe of Florida for approvals on depiction and attire. The portrayer must maintain a 3.0 GPA and attend a two-year apprenticeship. They charge to midfield before kickoff at home games and Osceola plants a burning spear in the turf.